Available in yellow or silver. Click on the item to select a color. 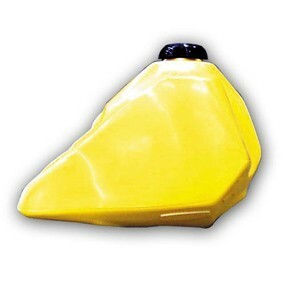 New Clarke Manufacturing gas tank. Center mount style. Sits a little higher than the stock tank. Comes complete with cap, petcock, and all hardware. Holds approximately 2 gallons. You have to remove the front mounting rubber cups from the frame. This tank will not slide over them. This will not fit the mono shock models. Twin shock only. The tunnel is not wide enough. 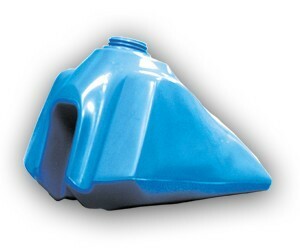 New Clarke Manufacturing gas tank. The blue is a shade darker than the yamaha IT blue. Includes a new cap. Uses the stock mounts and petcock. This is a right side petcock tank. Available in yellow or white. Click on the item to select a color. 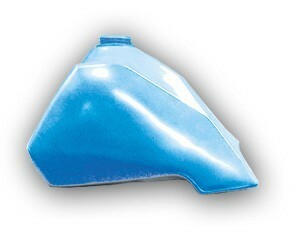 New Clarke Manufacturing gas tank. 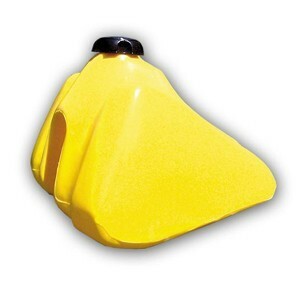 The yellow is a very close match to our yellow plastic. Uses stock cap, mounts and petcock. 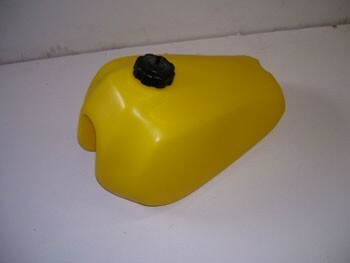 New Clarke Manufacturing gas tank. The blue is a shade darker than the yamaha IT blue. Includes a new cap. Uses the stock mounts and petcock. This is a left side petcock tank. Click on the item to select a color. 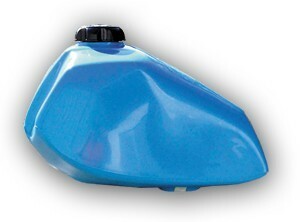 New Clarke Manufacturing 4 gallon gas tank. 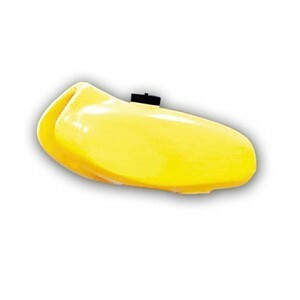 The yellow is a very close match to our yellow plastic. Uses stock mounts and petcock. Cap furnished. 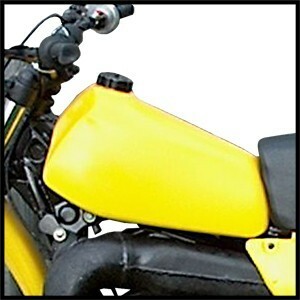 New Clarke Manufacturing gas tank. The blue is a shade darker than the yamaha IT blue. Uses stock cap, mounts and petcock. New Clarke Manufacturing 3.9 gallon gas tank. Uses stock mounts and petcock. Cap furnished. Available in yz yellow or white. Click on the picture to select a color. The tank is not a perfect replica. The seams on the tank do not quite line up at the bottom. It will need to be cleaned up with some sand paper or a razor blade. I have contacted Clarke regarding the tank, but they tell me that the mold is very old and it does not turn out premium pieces anymore. Still a nice replica, but it's not perfect.